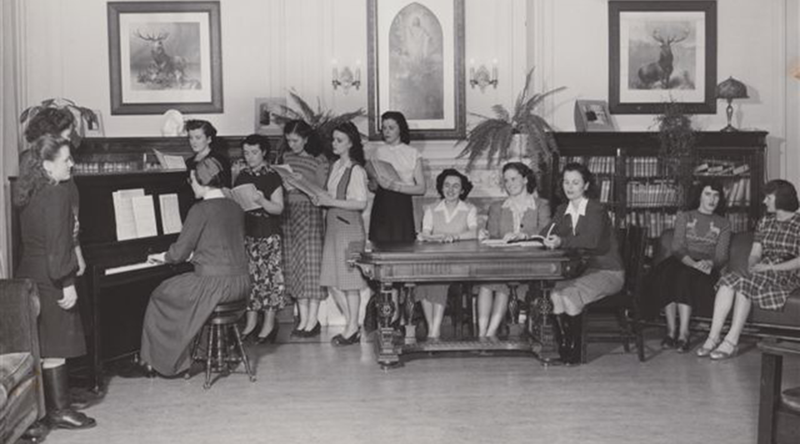 At the request of Archbishop Gauthier, the Sisters in 1926 assumed the management of Catholic Women’s League (CWL) Hostel. 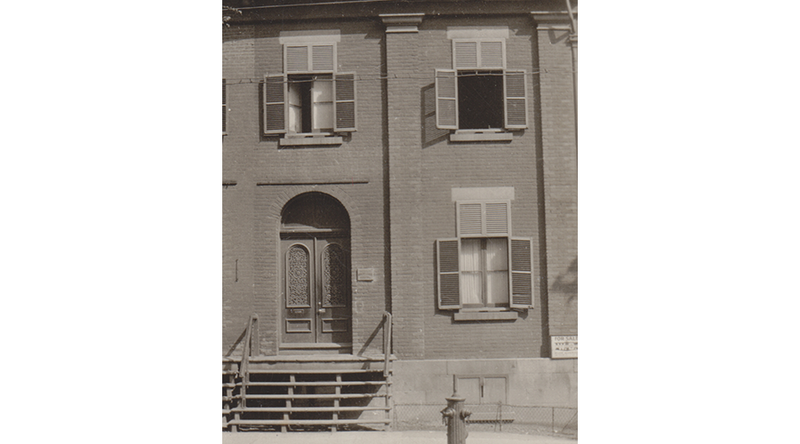 Known as Loretta House, the three-story residence at 450 Rue de la Gauchetière Ouest was located on the eastern downtown area of Montréal. Close to the harbour, the house became a refuge for immigrants. 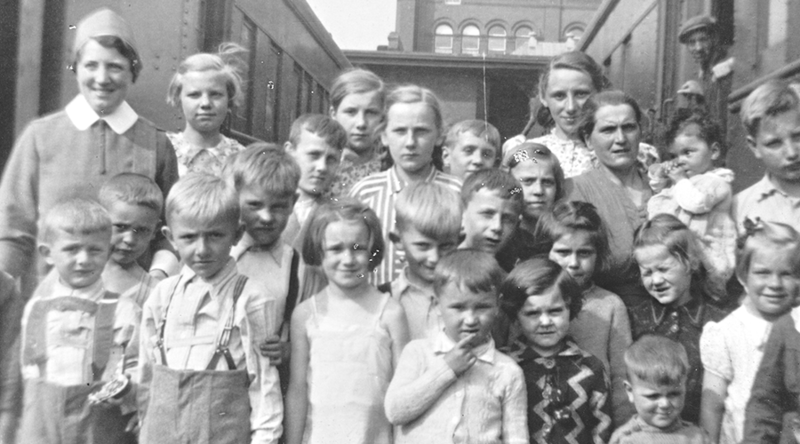 After the Sisters met the trains, men, women and children were brought back to the hostel for a short-term stay. Upon the archbishop’s request, the Sisters also visited the Detention Centre, where the immigrants were detained. 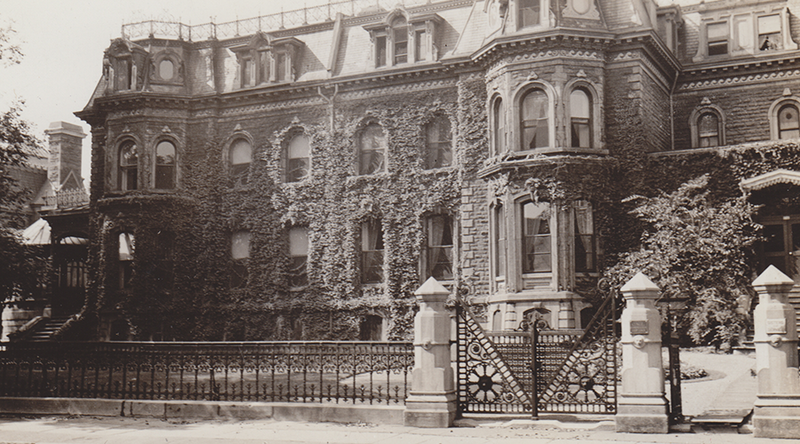 When the hostel work outgrew its location, a larger house was opened in April 1928 on Drummond Street, close to Mount Royal and McGill University. All the subdivisions of the Montréal CWL contributed to the furnishing of the house. In addition to the Immigration work, the hostel accommodated families temporarily until they were released from immigration regulations. The mission was closed in November 1934. 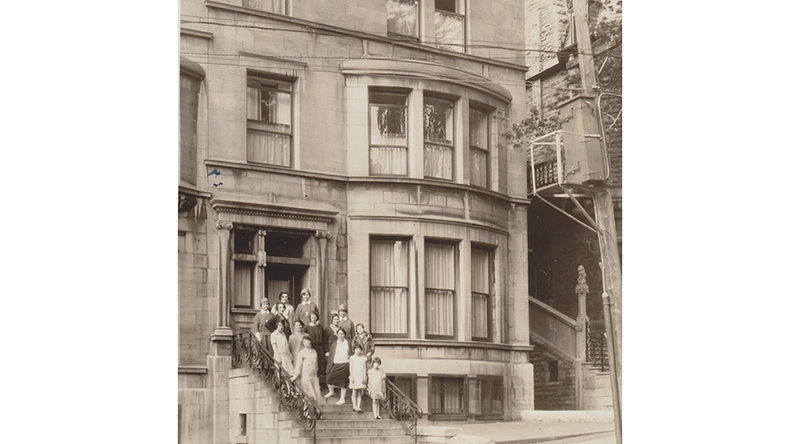 The Sisters purchased a larger house on 1923 Dorchester Street West to concentrate on women, providing instruction in language and domestic skills. Opened in January 1935, the semi-detached residence had been built in 1894 and owned by railway magnate Lord Thomas Shaughnessy, the third president of the Canadian Pacific Railway. 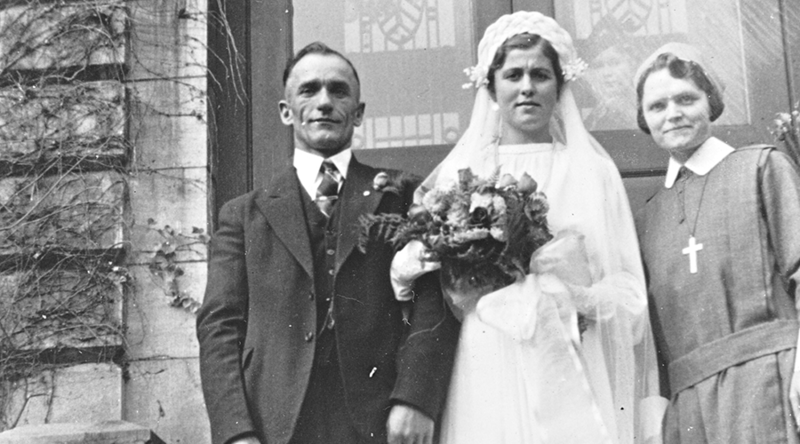 In 1940, the Sisters bought the house on the west side, which had been owned by Lord Strathcona, who co-founded the CPR and drove the last spike to open the railway. With the two houses, the residence provided rooms for 80 residents. 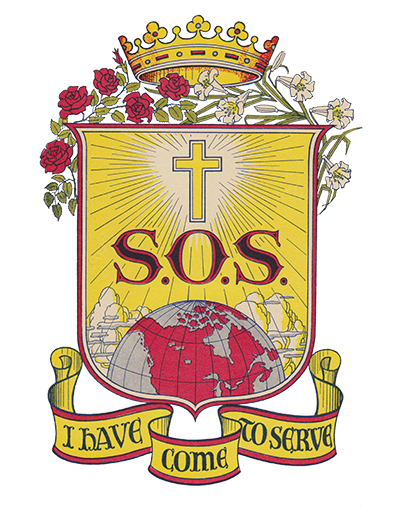 Besides the residence, the Sisters continued immigration work, especially assisting the Sudeten refugees in 1939-1940 and immigrants after the Second World War. 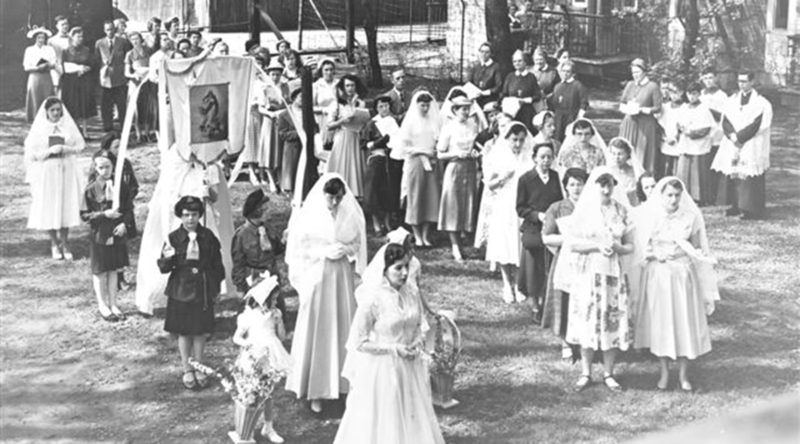 For girls, aged 6 to 17 years, the Sisters started a club in 1940 to provide recreation at Goose Village, part of the Montréal Redemptorist parish of St. Ann’s. The closing of the residence resulted from the ending of funding by the Federation of Catholic Community Services of Montréal in 1971 and the expropriation of land around the house for an exit for the Trans Canada Highway in 1971. The Sisters decided to close the residence by August 1973. Two months later, the Québec Government designated it as a heritage property. Architect Phyllis Lambert, daughter of industrialist Sam Bronfman, purchased the property for the Canadian Architectural Conservatory. 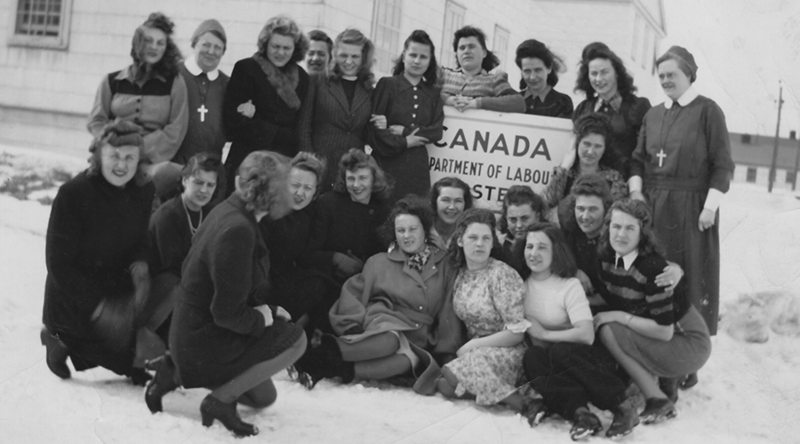 The remaining Sisters moved to a house in Westmount. 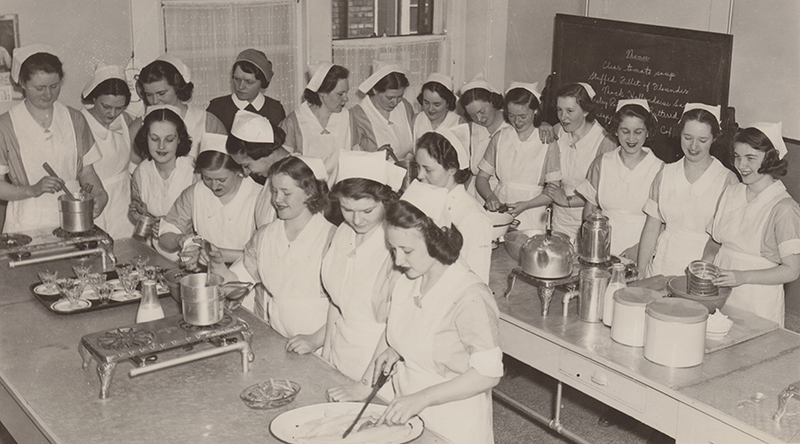 Sister Nora FitzPatrick worked at Ville Marie Social Service Centre. The house was sold to the Sisters of Notre Dame, who took possession in the summer of 1984.